Easter is around the bend, and I am so excited for the green trees and grasses that are already budding happily! It is time to clean (boooo) and decorate (yea!!!) is for spring! Day light hours are getting longer and I can finally feel like the cool mornings and warm afternoons are on their way! I love the spring – new life, flowers, rainbows – all of it. Today I am making an Easter Wreath with the tinies. We started with some plastic Easter eggs. 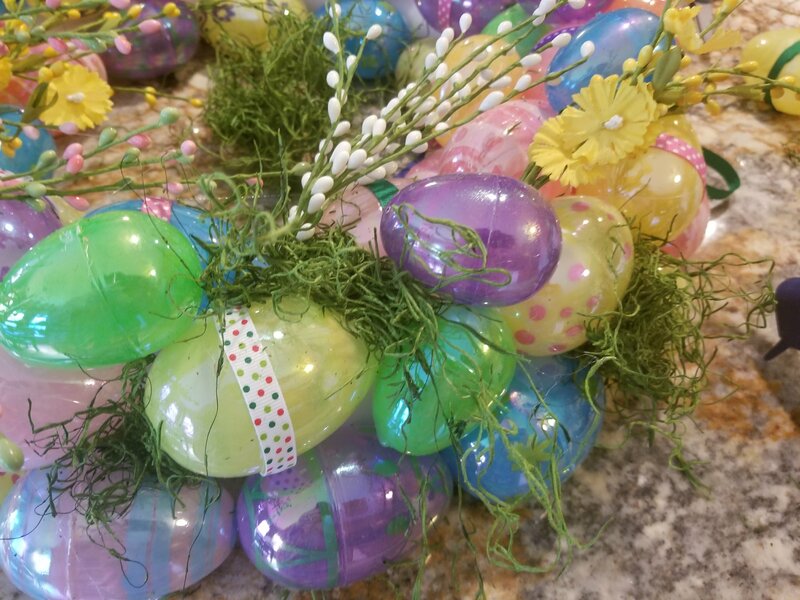 I am using the jumbo ones for the base of the wreath – choose the ones that speak to you – I chose pastel printed and solid pearlized eggs. I also selected mini eggs so that I would have something to fill gaps between the larger eggs. In total, I used about 48 jumbo eggs and 24 mini eggs. 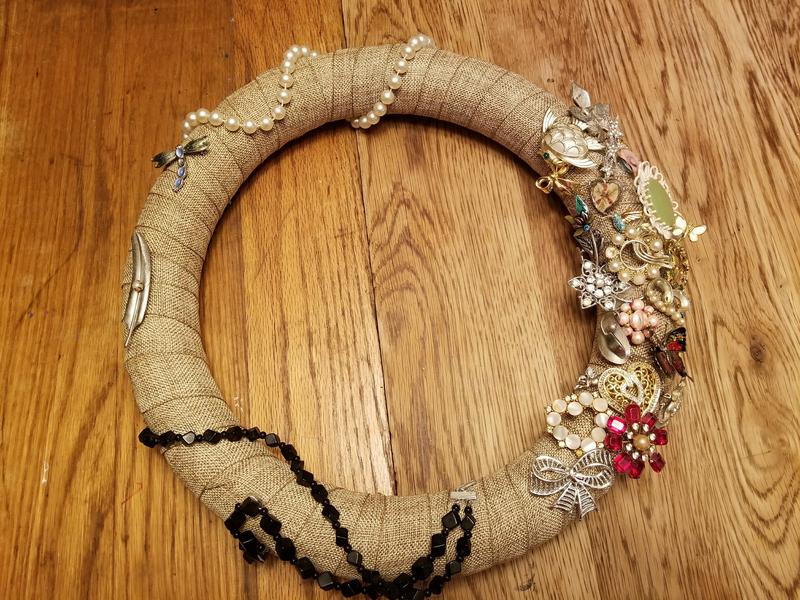 Those are simply hot glued onto a Styrofoam or coco fiber wreath core. You can choose what add ins you want, but I selected some spring floral picks and Spanish moss from the floral section of my local craft store to add some character and depth to the finished product. Finally, which I can tie a fancy bow, why? 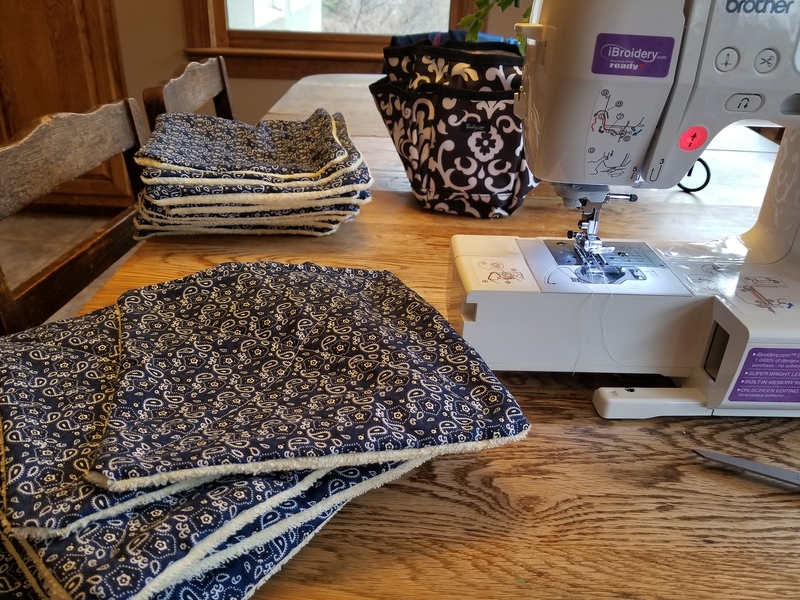 I bought a spring time plaid printed pre-tied bow and called it a day and finished my trip down the ribbon isle with several polka dot print varieties for the solid eggs. With supplies in hand, I headed home. All together the wreath supplies cost me around $30.00. You could easily cut this in half by tying your own bow and leaving off the picks and Spanish moss. I wanted that grassy look though, so in the buggy it went. 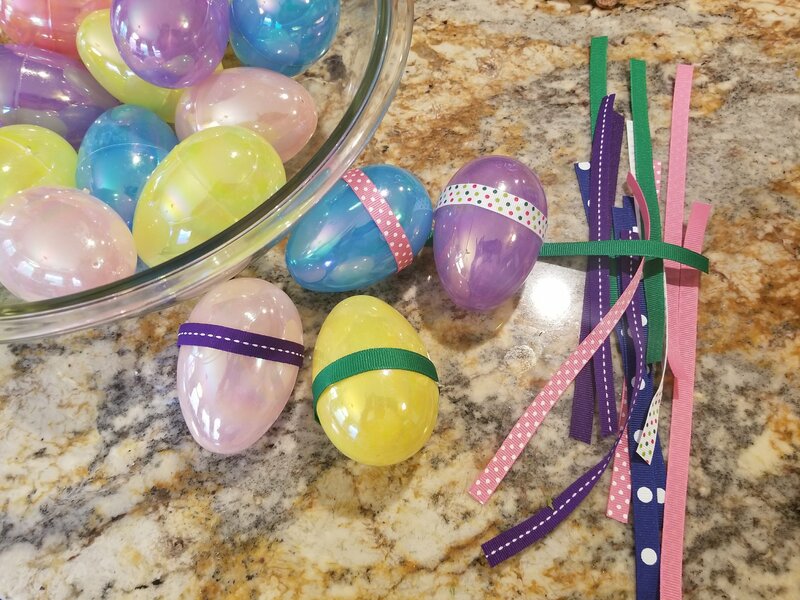 Finally, I hit the ribbon isle and picked up some solid and polka dot printed ribbon to use in decorating the solid colored eggs. 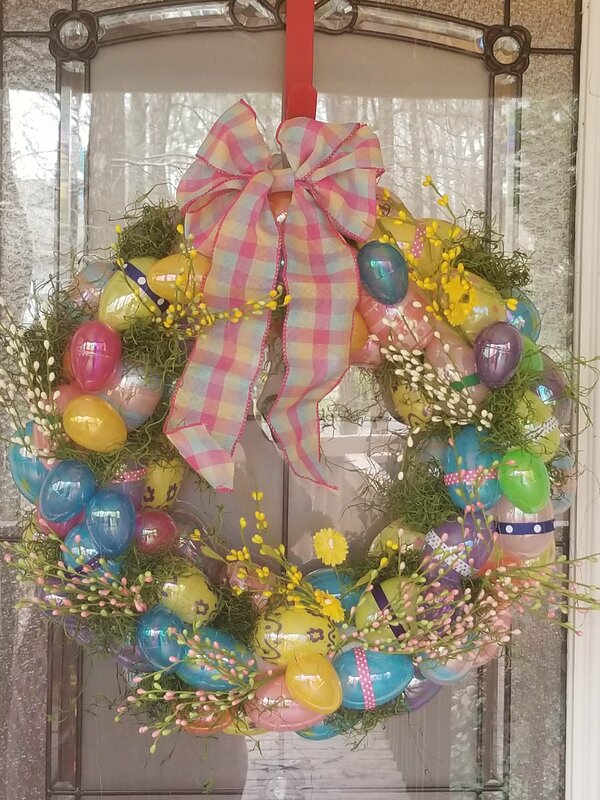 To make the wreath, I placed the core on my kitchen counter and hot glued printed eggs to the inside and outside perimeter of the core, end to end. I found a tiny bit of a gap at what immediately became the “top” of my wreath. I will fill that in with tiny eggs and Spanish moss later. 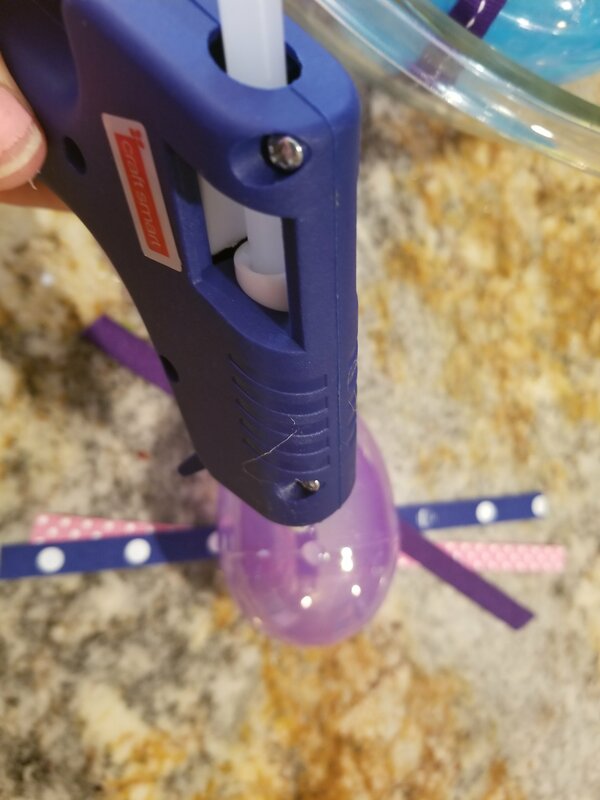 For now, I will try to line the inner circle of eggs up so that if there is a gap in that line, it matches with the one above it for easier camouflaging. Before I add anything else, I take a 12 inch length of ribbon and hot glue the ends to the inner side of the wreath core to provide a sufficient loop from which to hang the wreath. 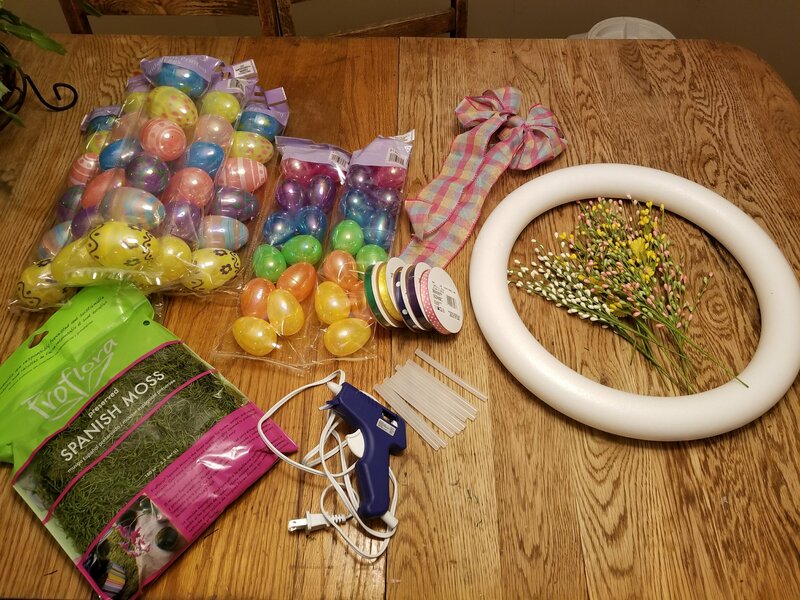 The solid eggs are going to have a length of ribbon hot glued to their middles to add some simple decoration and contrast. 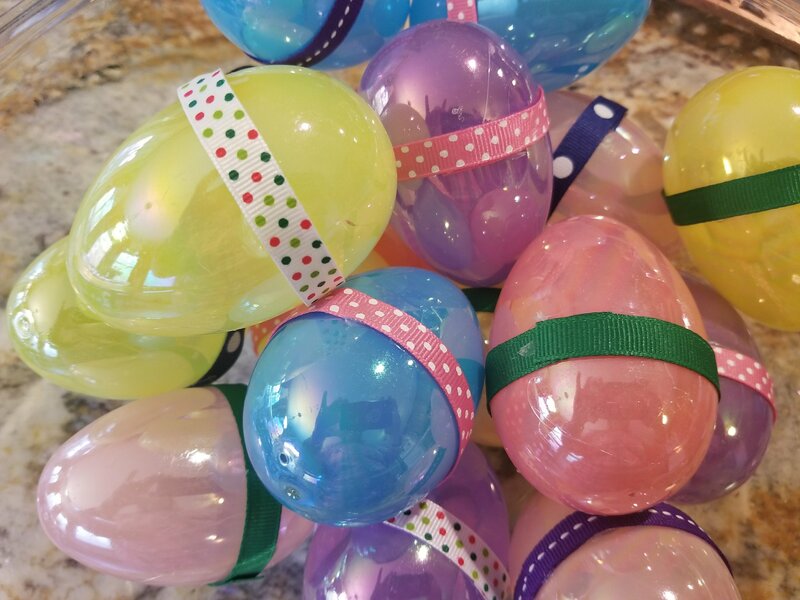 I measured the perimeter of the large eggs and cut a sample length of ribbon. Mine was about 5 inches, but be sure to check as brands can differ. I cut enough lengths for each of the solid eggs. Hot glue them to the eggs in any pattern your wish. I glued mine around the middle so that it covered the seam where the halves come together. Now, using your handy dandy hot glue gun, begin gluing those to the top of the wreath core. I tucked bits of moss between the larger eggs and nestled some of the smaller eggs into those gaps to fill in the look. 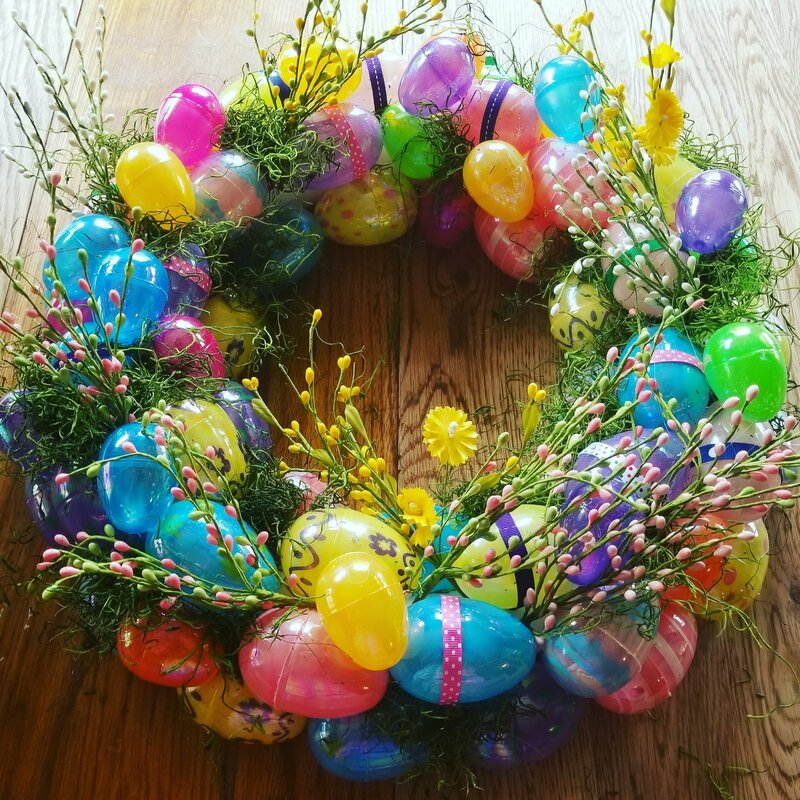 The overall wreath was MUCH larger than I anticipated, but I love the bold and colorful eggs! I think it shows off nicely hanging on my front door – we are ready to welcome the season! This post contains affiliate links that may give us a small commission at no additional cost to you. Oh my gosh, this is so pretty! I love the pastel colors, spring florals, and polka dot ribbons. I’d like to make one and hang it on my front door too. Can’t wait for Spring! Wow! What a fun and colorful project. Thanks for the detailed instructions. It looks like something I could actually accomplish. It looks complicated, but I just glued in layers and it turned out really well! This looks like a fun little project. I need to see if I can wrangle up materials to make one. It was great. Even my smallest was able to help. 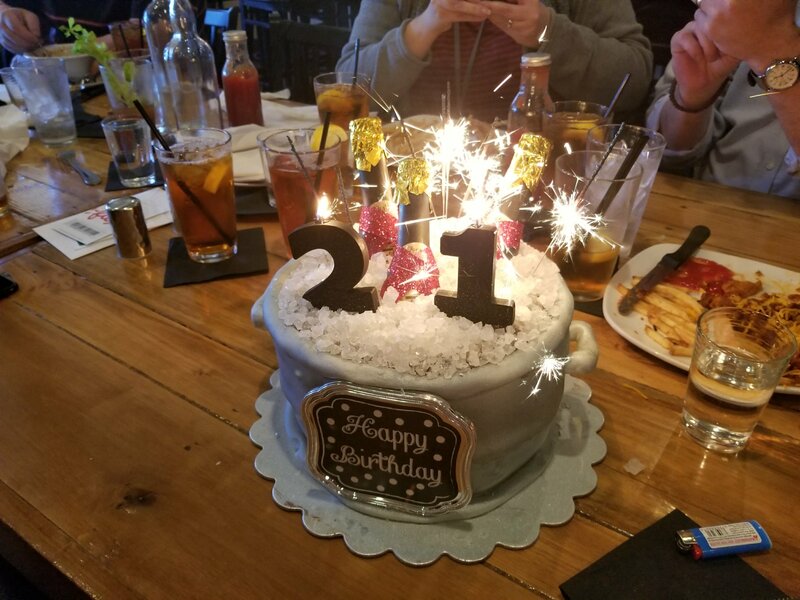 The materials were all craft store and Wal Mart items – pretty cheap!